Omaima Abdullah Al-Khamis is a Saudi Arabian writer, born in 1966. She graduated with a BA in Arabic Literature and worked as a teacher and director of the Department of Educational Media in the Ministry of Education, before becoming a full-time writer in 2010. Since 1993, she has published four short story collections. Her first novel Al-Bahriyat appeared in 2006. It was reprinted seven times and a special edition was printed in Egypt. Her second novel, The Leafy Tree (2008), reached the 2010 IPAF longlist. Saja’s Visit was published in 2013. 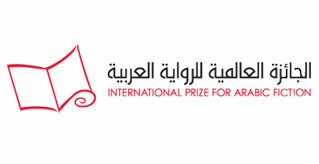 Her most recent novel, Voyage of the Cranes in the Cities of Agate (2017) won the 2018 Naguib Mahfouz Medal for Literature. She has published a number of children’s books which have been translated into other languages. Al-Khamis writes a weekly column in Elaph newspaper.